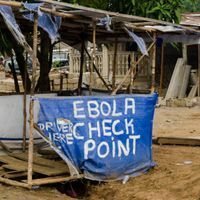 While the social sciences have devoted much attention to the origin and prevention of violence, relatively little biomedical study has been conducted. Human behavior is determined by a combination of genetic and environmental influences governing brain structure and function. 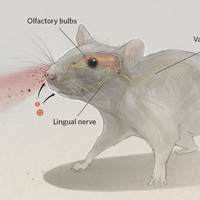 Violence, therefore, ultimately derives from the operations of the brain, and recognizing the importance of neurobiology will inform and invigorate study of this urgent problem. Violence is ubiquitous in society--just consider action movies, video games, graphic news reports, or professional sports such as boxing. We need to study the implications of these public displays, not to mention warfare. Attention to violence among young people is particularly critical, because effective prevention can yield extended benefits. Even in the absence of brain dysfunction, exposure to violent events may exert profound behavioral consequences, presumably through effects on the developing brain. Thus not only can violence result from acquired brain lesions, but adverse childhood experiences may engender antisocial behavior. 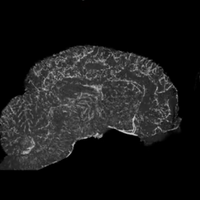 In adults, the role of brain damage in violence remains unclear. A brain lesion by itself is rarely sufficient to cause violent behavior; most individuals with brain damage do not commit criminal acts. However, we cannot assume that the brains of violent individuals are invariably normal. The neurologic status of the brains of violent persons thought to be normal has not been adequately assessed by detailed neurological examination, neuropsychological testing, magnetic resonance imaging, or functional neuroimaging techniques. Studies of murderers have suggested a high prevalence of neurologic dysfunction, and some individuals with traumatic brain injury, epilepsy, dementia, and sleep disorders have been observed to exhibit excessive violence. Violence is more likely among those with severe mental illness, particularly psychosis, and is exacerbated by the use of alcohol and other psychoactive substances. The cause of violence is multifactorial, and a direct correlation between brain dysfunction and a violent act is rarely possible. Most published studies are retrospective and anecdotal, with small sample sizes and often inconsistent results. Identification of brain lesions is imperfect given the limitations of diagnostic classifications, the neurologic examination, neuroimaging technologies, neuropsychological assessment, and neurochemical analysis. Some subjects' samples, such as prisoners or those with severe neurologic or psychiatric disease, are necessarily based on violent persons who are apprehended or hospitalized; conclusions are therefore based only on those whose records are analyzed, and the potential for violence in the general population remains unknown. Despite these obstacles, several particularly promising research areas emerge. First, there is the possibility of a neurogenetic contribution to violent behavior. Whereas no single gene for human violence has been discovered, data from molecular genetics suggest that multiple genes may interact to predispose individuals to this behavior. 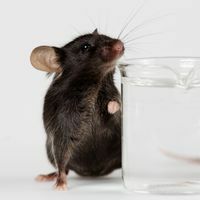 Observations in mouse knockout models have suggested that targeted disruptions of single genes can induce aggressiveness in males and diminish nurturing in females. Aggression in animals and humans is also likely related to genes regulating central serotonin metabolism. Males are much more likely to commit violent crimes than are females, but genetic factors may not explain this discrepancy. Socioeconomic and cultural influences play a major role; unemployment, lower educational level, alcohol use, and access to firearms all contribute to violent crime among males. The XYY chromosomal disorder also serves to highlight difficulties in establishing an influence of gender on violence. A sensitive issue in research on violence is the impact of race. In the United States, African Americans are more often the victims of violent crime than are whites, and homicide rates among African Americans are higher. Available data, however, do not permit a conclusion about the role of genetics. Criteria for inclusion in a racial group are not clear, and many individuals have mixed racial background that confounds analysis. Another important factor is the disproportionate arrest rate of African Americans by law enforcement officials. Finally, substantial evidence supports the negative impact of socioeconomic and cultural factors on African Americans and other minorities. Racial differences in the rate of violent crime diminish when socioeconomic status is considered. Whereas gender and racial differences cannot be used to explain a possible genetic basis of violence, data from behavioral genetic investigations have been provocative. Three main approaches have been employed: twin studies, studies of identical twins reared apart, and adoption studies. These studies typically use statistics on criminality, which can be considered a surrogate marker for violence. Genetic influences have been suggested to account for approximately half the variance in violence as assessed by criminal behavior. Another promising research avenue is the investigation of brain anatomy relevant to the expression of violence. These studies use the lesion method of behavioral neurology to find associations between structural brain damage and a behavioral pattern. Whereas no "violence center" exists in the brain, the limbic system and the frontal lobes are areas most implicated. The limbic system is the neuroanatomic substrate for many aspects of emotion. The structure most often implicated in violent behavior is the amygdala; placidity has been described in humans with bilateral amygdalar damage, whereas violence has been observed in those with abnormal electrical activity in the amygdala. The frontal lobes are regarded as the repository of the most advanced functions of the brain. In particular, the orbitofrontal cortices allow for the inhibition of aggression. Individuals with orbitofrontal injury have been found to display antisocial traits (disinhibition, impulsivity, lack of empathy) that justify the diagnosis of "acquired sociopathy," and some have an increased risk of violent behavior. A balance thus exists between the potential for impulsive aggression mediated by limbic structures, and the control of this drive by the influence of the orbitofrontal regions. A third research area likely to yield useful results is the neurochemistry of violence. A wide variety of hormones and neurotransmitters have attracted interest. Testosterone merits strong consideration in view of the much higher incidence of violent behavior among males. In nonhuman animals, evidence for a causal link between testosterone and aggression exists, but a similar association in humans has not been demonstrated. Neurotransmitters including acetylcholine, dopamine, and gamma aminobutyric acid have been considered, but data on serotonin and norepinephrine are most convincing. These neurochemicals appear to act in a reciprocal fashion with regard to impulsive aggression; serotonin is inhibitory and norepinephrine facilitory. The association between reduced central serotonin function and impulsive aggression, the "low serotonin syndrome," has received substantial support. Conversely, several lines of evidence have linked aggression with increased activity of norepinephrine. Clinical and postmortem study of violent individuals is critical, particularly regarding its neuroanatomic, neurochemical, and genetic determinants. help clarify the epidemiology of violence and the relative importance of its risk factors. The Framingham Heart Study serves as a useful model for a project of this kind. Prospective studies could provide data on cognitive, behavioral, neuroanatomic, and genetic predisposition, early brain injury, socioeconomic disadvantage, drug abuse, familial disruption, psychological stress, and exposure to violence. Such studies could also address whether education and socialization influence the brain to promote compassion and empathy. The most efficacious and cost-effective measures in social policy, public health, and medical treatment could then be implemented. Whereas dysfunction of a discrete brain region, isolated neurochemical system, or single gene will not likely emerge as a direct cause of violence, all may contribute. Hence, the need for this type of research. Christopher M. Filley, M.D., is with the University of Colorado School of Medicine and Denver Veterans Affairs Medical Center; James P. Kelly, M.D. is with the Rehabilitation Institute of Chicago and Northwestern Memorial Hospital, Chicago; Bruce H. Price, M.D. is with McLean Hospital, Belmont, Mass., and Harvard Medical School. 1. C.M. Filley et al., "Toward an understanding of violence: neurobehavioral aspects of unwarranted interpersonal aggression," Neuropsychiatry, Neuropsychology, and Behavioral Neurology, 14:1-14, February 2001.